CBTVB: Marvel’s Agents of S.H.I.E.L.D. Teases The Punisher? Now, this is has to be couched as serious speculation, but this past Tuesday, Agents of S.H.I.E.L.D. had another rousing episode call “Writing on the Wall”, which featured an alleged Easter egg for the crazed vigilante Punisher. At an information download point in the show, Agent Skye refers to getting some intel from a computer hacking buddy “Micro”. As many have suggested, they believe that “Micro” may have been shorthand for teh Marvel character David “Microchip” Lieberman who has been a friend, ally, and eventual enemy to The Punisher. when things are going good, Microchip would provide Frank Castle with weapons and technology to kick crime in the teeth. Wayne Knight played Microchip in the 2008 Punisher: War Zone. In the comics, Castle is a former government law enforcement agent who sees his family gunned down. He is injured and left for dead by the mob who he then vows to destroy once he recovers. The character has had a few shots at a feature film starring such leading men as Dolph Lundgren (Rocky IV), Thomas Jane (Scott Pilgrim), and Ray Stevenson (Thor). None of these films saw much critical or financial success, so inevitably the character returned to Marvel Studios (along with Blade and Ghost Rider) though there have been no announced plans for his return to the big screen. 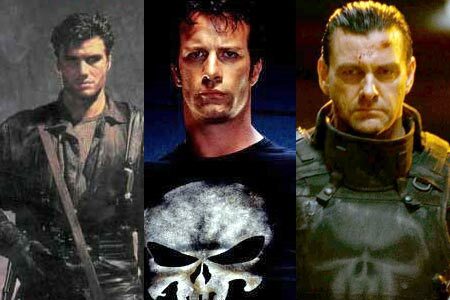 “Writing on the Wall” may not be our first reference to The Punisher in the new Marvel Cinematic Universe. We learned that this past summer’s blockbuster, Captain America: The Winter Soldier director Joe and Anthony Russo imagined that The Punisher was rollicking around Washington, D.C. taking out Hydra agents in two particular events. 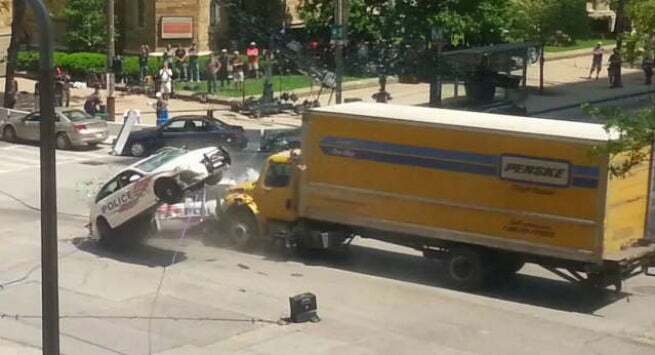 First, when Nick Fury is under heavy fire from DC police there is a massive Ryder truck that slams into one of the police cars that helps Fury escape for a moment. Second, when the Winter Soldier “extracts” Agent Sitwell from a car with Widow, Cap and Falcon, throwing into oncoming traffic to succumb to death by Ryder truck. The Russos said that although this was not the original intent, the fact that the truck showed up twice suggested a concerted effort by a third party…possibly The Punisher. So far, The Punisher’s appearance in the MCU has been guessed at, but one possible avenue to the violent vigilante is said to be his possible inclusion in the Netflix The Defenders series as Marvel turns its focus to the street level avengers like Daredevil, Iron Fist, Powerman, and Jessica Jones. So, you never know, we could ultimately see the feature incarnation of the iconic vigilante.